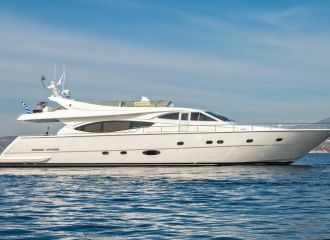 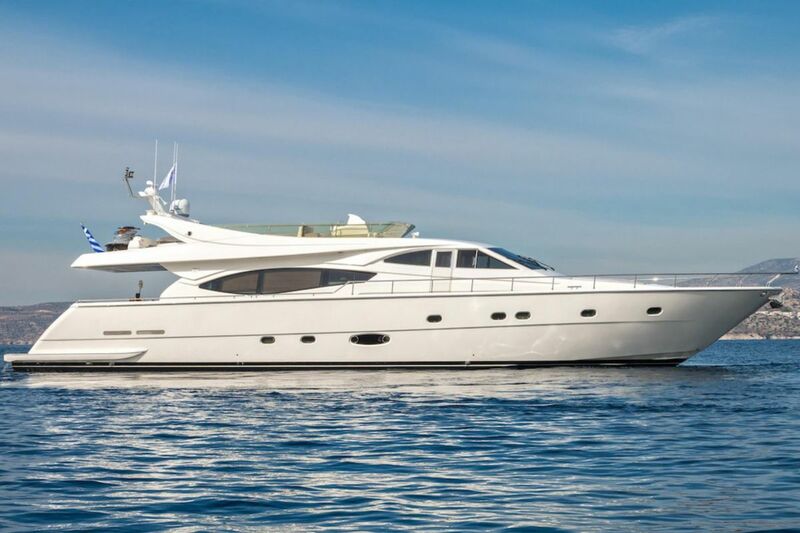 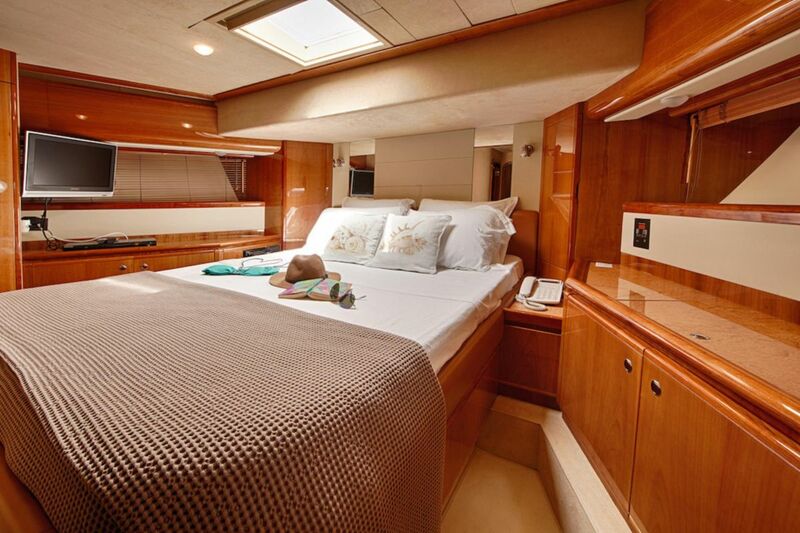 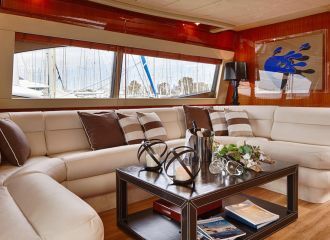 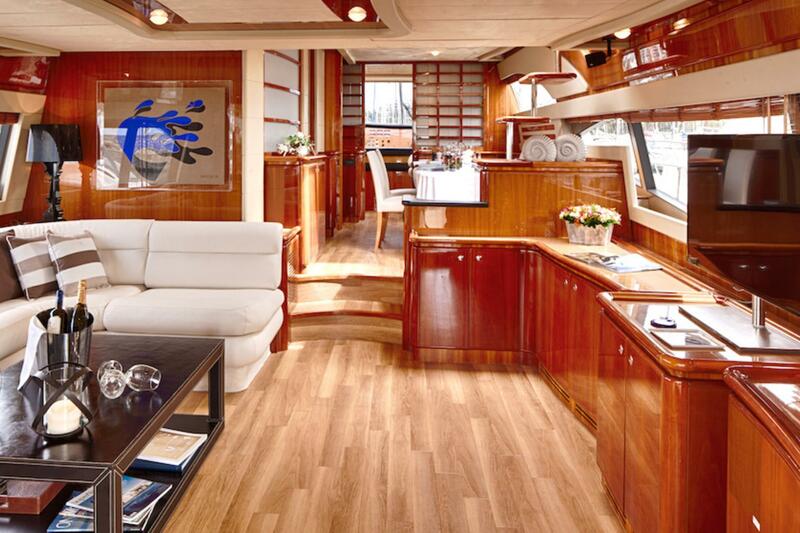 This recently refitted Ferretti yacht is ideal for a yacht charter in Greece. 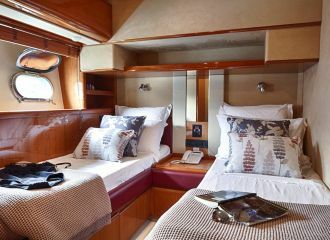 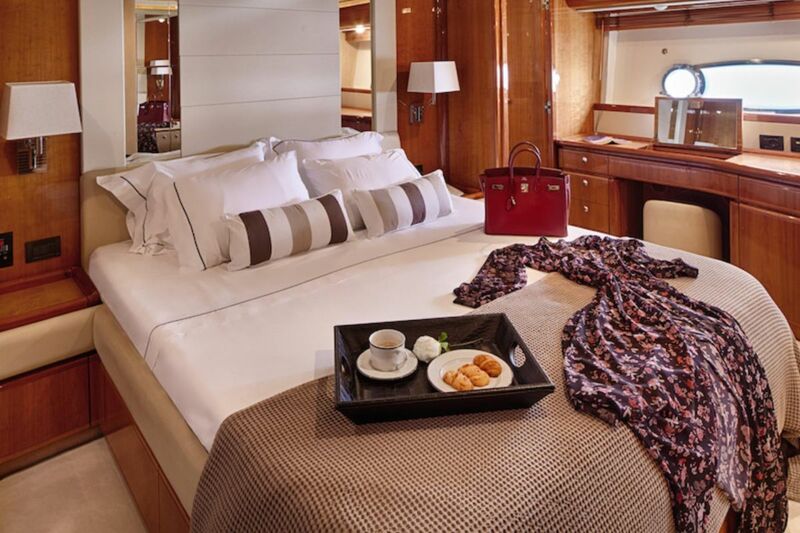 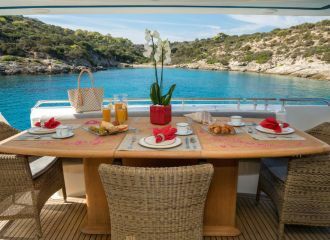 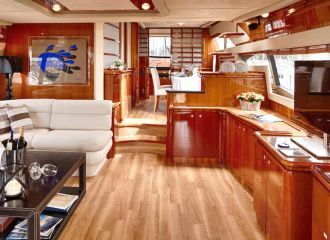 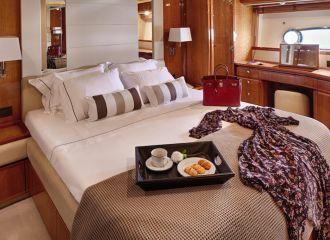 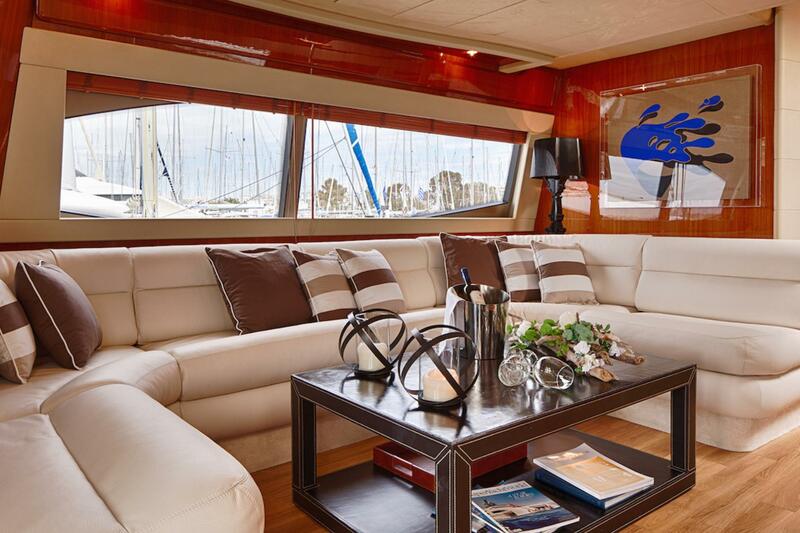 The yacht boasts spacious decks with a range of sunbathing, seating and dining areas. 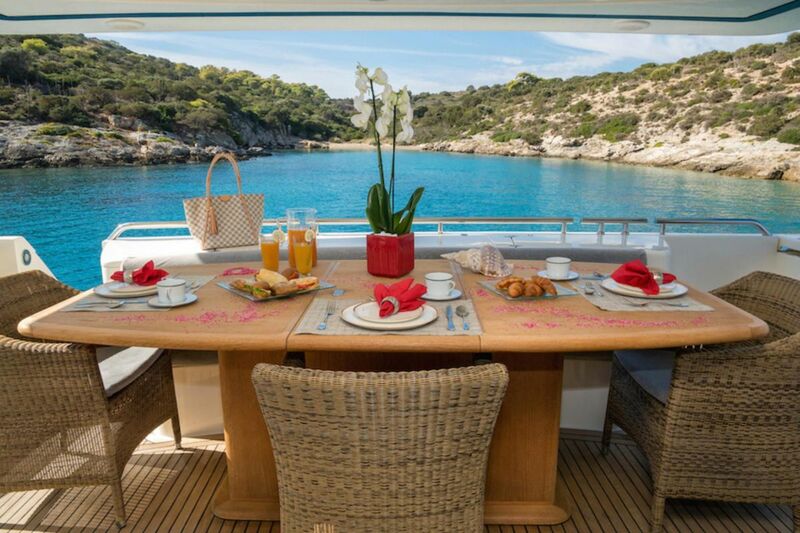 Perfect with family and friends alike. 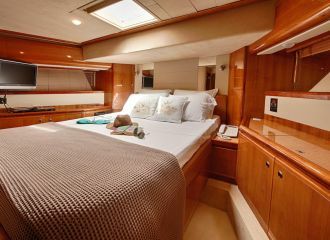 This Ferretti 77 yacht has a flexible interior layout and accommodates up to 8 guests in 4 cabins: 2 double and 2 convertible which can be set up either as double or as twin. 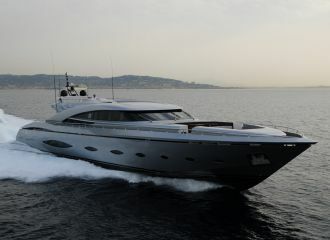 total 4666	€ Excluding VAT and APA ?